I find it is hard for young goalkeepers to understand and appreciate when they could have done better, especially when the goal was not a glaring mistake or if the goal was scored in the second phase. The key to dealing with mistakes is to be educated enough in the game to acknowledge when we could have done better. Watch the game, listen to feedback and become a student of the position. Once a mistake is made, consider the following. 1 – Vent it. By venting your anger in the form of a verbal outburst, you can let the frustration out and put the mistake behind you. It is important to resist physically lashing out as a kick or punch to the post or floor or any other item may result in an injury and let your team down further. 2 – File it. Learn from the mistake and file it in the memory bank for the duration of the game so that the same mistake won’t be made again. You do not need to analyze it in depth but be aware of what happened. It might have been that the ball got held up in the wind, and you need to adjust your jump on the next ball. It might have been that you tried to catch in wet conditions, when a parry would have been a better option or the knowledge that #10 kicks the ball very hard, so be ready for the next shot! 3 – Own it. Be strong enough to let your teammates and coach know that you acknowledge the mistake. A simple hand up will let all know that you accept the mistake, you are educated enough to know it was your fault, and that your normal level of play is higher than the play that was the mistake. This can provide confidence to the team and coaching staff. 4 – Focus. The remainder of the game needs you focused on the next save. Do not dwell on the mistake….. “You are only as good as your next save” – My coach used to tell me. 5 – Evaluate it. After the game and when you have filled out your match analysis is the time to establish if the mistake was technical or tactical ( tactical is when a decision has to be made ). What should you have done? How will you deal with the same scenareo next time? What do you need to do to fix the problem? It might mean that you need to practice that particular topic to get the confidence back again. 6 – Fix it. Extra training, a new pair of gloves or even rest – This part is down to each individual and each scenario. Everyone makes mistakes….. 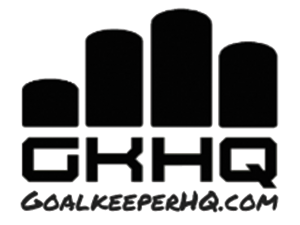 The best goalkeepers are the ones that make the least and when they do make a mistake are able to get over them quickly.